In an effort to clear out my pantry, I’ve been making a lot of goodies using ingredients leftover from the holidays. Instead of going into the kitchen, snacking on an Oreo, and little by little demolishing the entire package, I found a recipe for Oreo Muffins. Muffins are a favorite for me for breakfast. I like that I can freeze them and grab one out of the freezer and it’s almost completely thawed by the time I get to work to enjoy it. 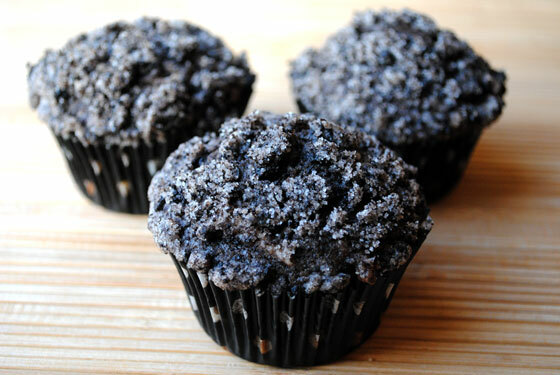 These muffins are excellent with a cup of coffee and they’ll use the last of those Oreos tempting you in the kitchen. They aren’t the prettiest things to come out of my oven, but they are packed with Oreo flavor. Oreos are one of my favorite cookies to turn into a sweet treat. I baked mine for about a minute too long, so be sure you set your timer to the lowest time and check them often. Even though they were slightly overcooked, I really liked them. Cookies and cream flavor with a crunchy topping. I liked the tiny bursts of chocolate from the chips, too. The muffin is so good, you could even skip the topping. 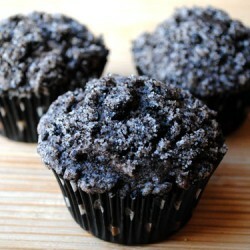 The topping is delicious, but makes the muffin messy as it’s a bit on the crumbly and greasy side. 1. Mix flour, sugar, and baking powder in a medium bowl. Cut in butter until it resembles coarse crumbs. 2. Combine milk and eggs in a small bowl. Stir into flour mixture. Gently stir in chopped cookies and chocolate chips. Do not overmix. Spoon batter into 12 greased or lined muffin cups. 3. For the topping, mix the cookies, flour, and sugar. Blend in the butter until crumbly. Sprinkle topping on filled muffin cups. 4. Bake at 400F for 15 to 20 minutes or until toothpick inserted near center comes out clean. Cool in pan on wire rack for 5 minutes. Remove from pan and serve warm.